Are you ready to see your life through different eyes? You have the ability to shift and expand on any subject you wish! 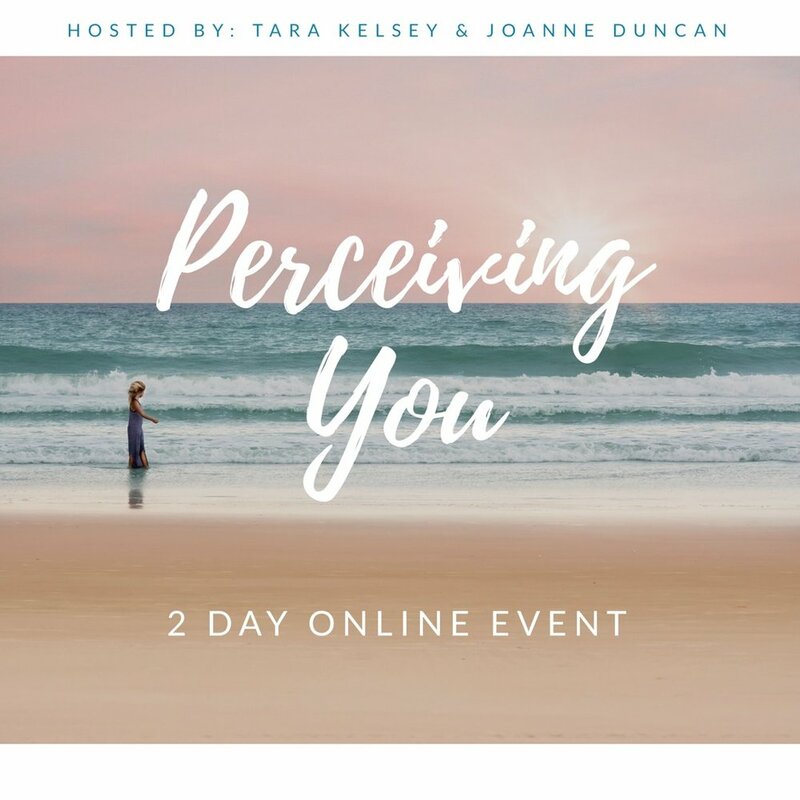 Join Tara Kelsey and Joanne Duncan for a insightful inner journey of self. This beautiful and expansive event, will take place in a private FB group, on both days! The replay of the LIVE videos, will be available for both days! Tara and Joanne will answer questions live, as well as read energy and channel in the group, both days! Both days will have live one hour teachings, with an additional 30 minute Q&A with energy connections! You must be LIVE for this connection! You will receive access to Tara Kelsey's private FB group, The Soul Shine Sisterhood.... and you get to stay forever!!! The Soul Shine Sisterhood, in next level connection! In this powerful group, you can connect with kindred spirit sisters, share and grow together!!! You will be added the Soul Shine Sisterhood, the day you sign up! CLAIM YOUR SPOT TODAY, BABE! All purchases are 100% non-refundable, if you are unable to make this online event, please consider donating your ticket. By signing up for classes, services and events through Tara Kelsey, you are assuming full liability and risk. www.tarakelsey.com is not responsible with what you decide to do with any knowledge you receive from classes, services or events. Tara Kelsey shares her personal experience and knowledge with the utmost honestly and integrity, please take away what you feel is right for you! As with anything, please use your own discernment. www.tarakelsey.com is used for guidance and educational purposes only. www.tarakelsey.com cannot guarantee results of any kind, as each person is unique and different. Please visit with your medical professional or medical doctor about any concerns of illness, ailments or mental illness. Tara Kelsey does not treat or diagnose any illness.We ask that you take away only the things that feel good to your heart. As with anything, please always use your own judgement and discernment.